Memorial Day, once known as Decoration Day, is a time to remember those who have fallen in our country's service. Typically we do this at graveside or with family members who have dead loved ones who served our country, but there is another way to lose your loved ones. Some are lost to the street. SYM serves some veterans. It is not common for street youth to have a military history, although some do. Over the years, I've certainly met at least 20 or 30. They may not always share their military history. A few street youth actually find their way off the streets by joining one of our armed services. One of the young men I'm working with now was in the army. He left on good terms but now lives on the street. He's thinking of returning to the service. It's a good option for him. We serve one veteran regularly, not because his is a street youth by age or by his culture, but because he lives in the neighborhood where we serve each day. He was in Vietnam. He apparently never recovered is place in society after that experience. He drinks and panhandles. I can't help but wonder about the family that lost him. No grave or funeral service, but a significant loss nonetheless. In Austin, about one in four of the homeless report being veterans (from a survey that encompassed 500 homeless people in 2007). In the 2009 CHALENG report, the Department of Veteran Affairs estimated there were 107,000 homeless veterans on any given night in America. Over the course of a year, approximately twice that many experience homelessness. We have the privilege of serving another veteran regularly who is a street youth. "William" is a street youth by culture but not by age–that means he fits in with street youth even though he is older (roughly 40). William is a veteran of Operation Iraqi Freedom. He lives on the street. He battles substance abuse, but William loves Jesus. And this brief Memorial Day story is about William. I received a visit Sunday from a friend, Brian, who is a recently commissioned officer in the army. Brian graduated this May from UT and is moving away to continue his military training. While at UT, Brian was very compassionate toward the street youth. He shared his compassion by getting his small group from church to make sandwiches for SYM. 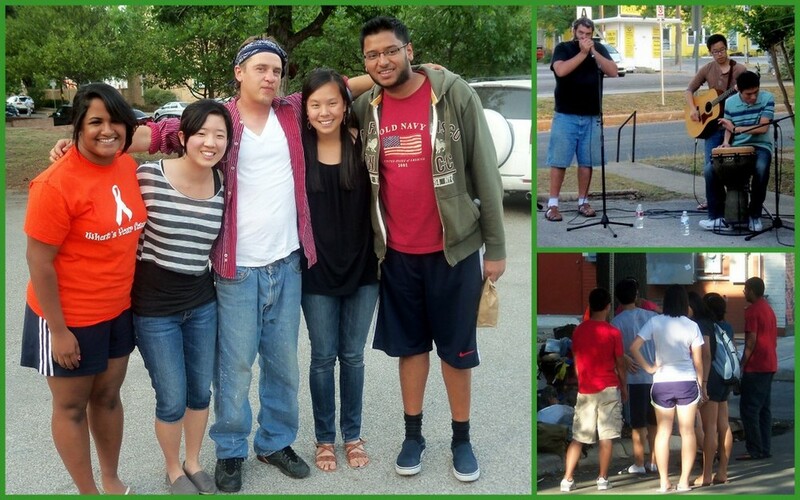 And Brian got his small group to go to the streets after their prayer meetings to simply hang out with street youth. As Brian prepared to go to basic training, he gave away possessions that wouldn't fit into his foot locker. Brian took lots of clothing and other items to individuals he had met on the street. Brian brought me bags full of items that he believed would be better given to SYM rather than directly to individuals. 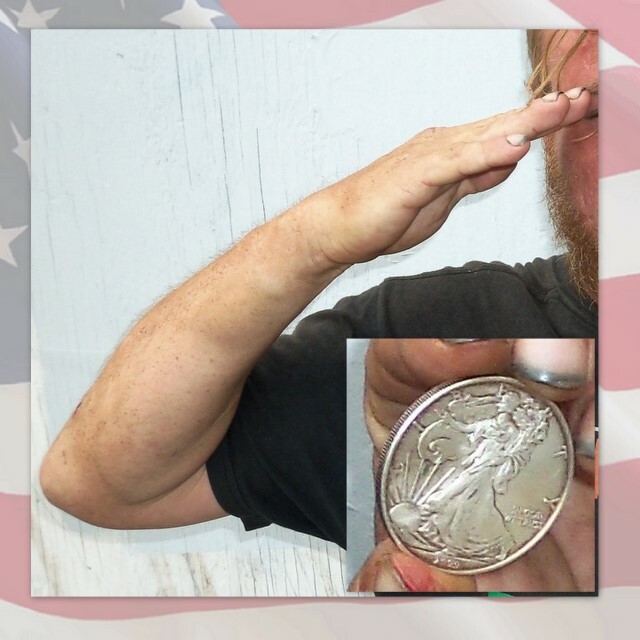 At commissioning, officers have a tradition of buying a silver dollar and giving it to the first person who salutes them. For various reasons, Brian wasn't able to give it away quickly and then was separated from other military people. So no salute. Long story short, William was the first to salute Brian during one of their last encounters on the street. Brian told me this story and handed me his silver dollar (2009, 1 oz of fine silver) and a favorite tee-shirt. Each time Brian wore the shirt, William commented how nice it was. Brian asked me to give William both the shirt and the silver dollar. Brian left Austin Sunday evening. I was able to find William on Memorial Day. I explained the story to William and presented the silver dollar to him. William hugged me tightly and asked me to thank Brian. He decided where to keep it. He hopes perhaps to have someone make it into a pendant that he can wear around his neck. We owe a great debt to those who purchase our freedom, both past and present. And we have many opportunities to honor those lost. I pray that we do not overlook those veterans who are lost to the streets in homelessness. P.S. My father, who died unexpectedly at age 58, was in the military during the Korean War. Recruited for his intelligence, he was unable to serve as an officer because of a severe speach impediment. Instead he served stateside in a rehabilitation hospital in El Paso, Texas. He played chess and other pastimes with young men recovering there from multiple amputations and other disabling wounds. It was a very hard time for my dad because of the significant depression and grief of these patients. Perhaps I inherited some of his abilities, and his own quiet service may shape how I choose to minister to street youth today. We welcome Hannah as our summer intern! as a true blessing to be working with Terry and the Street Dependent kids here in Austin. God has already shown me His love for these kids and the work that will be done for His kingdom through this ministry. And it’s only been a week!! I am so blessed to be here, this is exactly where I need and want to be right now in my life! Our interns complete a 13-week curriculum and are well-prepared to build upon the experience when they leave. Our first intern, Remington, became an ordained chaplain. Hanna is exploring a call as a missionary and currently attends a Bible College. We have positions for two interns this fall that are perfect for social worker students, seminary students, recently graduates looking to beef up their resume, or simply someone who wants to learn how to lead a poverty-informed urban ministry. Stability, sobriety, devotion to God and connection to Christian church are requirements for the internship. 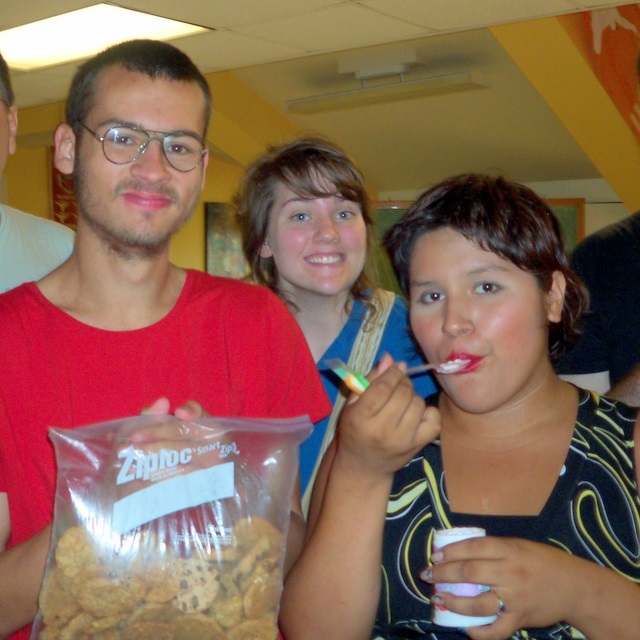 We help you raise support and can arrange local housing in Austin. Contact us for more information. It is our dream to train 100 young people in the next 10 years to be involved with urban ministries! I only knew Joe about two weeks and then he disappeared. I assume he moved on, a common thing with traveling kids–I often see them again, but not always. However, Joe reappeared just a couple of weeks later–one very recent Friday. And he was different. Joe was sitting on the curb and not moving, his head hung down. He couldn't stand or look up. Apparently he was hurting. As I approached him, I began to understand why. There was a huge freshly stapled gash along the entire side of his head… probably 12 inches in total length. It looked like a tearing wound to me, but Joe said he had been stabbed in a fight and that it was a knife wound. He showed me two puncture wounds on his torso that were stabs, but not as fresh as the head wound. As he lifted his clothing to show me these wounds, I observed several older scars on Joe's torso, back, and lower body. He was not new to fighting. Joe was completely disoriented, perhaps from the pain, but more likely from trauma. I arranged for other street kids to be sure to look after him. I got Joe to social work partners for trauma counseling. I made sure that everyone was looking out after Joe and that people were helping him keep his follow-up doctor appointments. That first day, Joe asked for pants. He's very particular, so instead of new pants, I arranged for him to have sewing kits and patches so he could make his current pants work. Joe was pleased. Joe began to improve after about a week. He was able to carry his own backpack. He could keep up with it without forgetting. The pain seemed to be subsiding. Joe's mental function was improving, although he still had memory loss regarding the fight. I don't know if that's trauma or alcohol. Joe began to talk of traveling again. But fist he wanted a guitar. He talked of having written songs but he couldn't remember them. 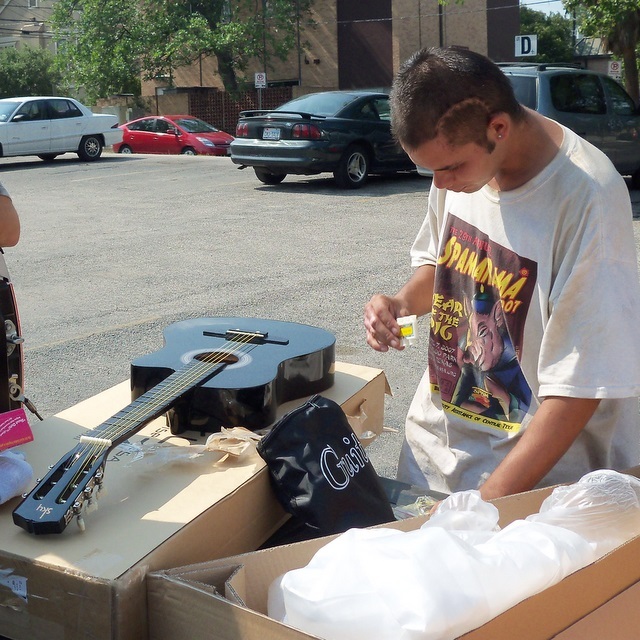 I couldn't imagine Joe playing the guitar in his current state, but I know how important music is to street youth. It definitely soothes their soul and gives them a way to express themselves. So I watched and waited. You see… I had a secret. Just a few days before I met Joe, I had received a guitar from a donor. Since it's a substantial gift and I can't give one to everyone, I decided to wait and see what the Holy Spirit had planned. As soon as I heard Joe asking for a guitar, I wondered if this was the reason. On Monday, Joe came to "Talk Time," a safe place inside a church where we share a simple breakfast and pray together with street youth. Joe had been there before, but only in his trauma-induced daze. Today his face lit up when he saw a guitar in the corner–it had been there before but he hadn't noticed. He asked sheepishly, "Can I play that guitar?" I said, "Sure. We usually play music but you can play the guitar instead." Joe said, "I just want to play for myself… quietly." So we put on music anyway. During prayer time I watched Joe pick and strum. I don't play guitar, but his technique looked amazing and varied. During prayer time, I encouraged everyone, including Joe, to contribute ideas to our "prayer concert". He didn't respond at first. Then he engaged a bit, sharing about what's going on with him now: "I'm just waiting to get well. Then I want to travel again. I'd like to find out who did this to me, but I'll be OK. I'm just got to get out of town." I began to rephrase part of that as prayers for healing and safety and so on, but Joe interrupted, "I don't talk to God. I don't believe in Him. I've been on the street for 13 years without Him." I responded, "It's OK. We don't have to agree here. It's safe for everyone." And I continued. At the end of "Talk Time," my intern asked Joe if he wanted to play us all a song. He agreed, and played amazing things. A huge variety of licks from both original tunes and covers of punk, rock, pop, and even one Christian song. I knew the time had come to give him the guitar. The next day was our "Chillin'" Bible study event. I brought the guitar. I asked one of the people who had been looking after Joe to try to make sure he came because I had something for him. That person guessed immediately what I was up to and agreed to get him there. Joe refused at first to come, but he followed the group along to the church. He hadn't slept well the night before because of the head injury, so he quickly fell asleep in the comfort of the air conditioning and soft chairs. I don't mind when this happens… the space and time is intended to be healing for the street youth. I want them to get whatever they need from the event. Of course, I want to share the Gospel, but if they need sleep, how can I begrudge them rest? At the end, I woke up Joe and said, "I have something for you. Let's go to my truck." We walked over to the truck together, Joe, my intern, one of his friends, and myself. Joe sensed something big coming and got excited. I took a few minutes beforehand to tell Joe, "I love you, and God loves you. You may not believe in God, but God believes in you". I told him, "I've been waiting to give you something because you weren't ready for it yet. But I think you are now. But you've got to start taking care of yourself." He said he could take care of himself, despite the obvious 12 inch rip still healing on his head. I said, "Joe, I hear your words, but your body tells me another story. I began touching all his scars on his body. "These," I said, "tell me about a young boy who had had some terrible things happen to him. A boy and a young man who has been through some terrible stuff. A young man who may not love even himself. But you need to know that you're beautiful and that God loves you… no matter what." His friend also began to tell Joe that he needs to change. Then I pulled out a big rectangular box from my truck. He took it and immediately said, "You've got to be kidding me! I know what this is! Are you kidding me?" He jumped for joy and bear hugged me. I encouraged him to unwrap it. He was so excited about every detail–the strings, the strap, the carrying case, the pick, the pitch pipe, the shape, the detailing on the guitar… Everything about this simple guitar seemed to please him. Joe's friend watched with pure joy as Joe explored the guitar. I saw his friend wipe tears from his eyes. He pulled me aside and thanked me for doing this for Joe. When I turned back, Joe was holding the guitar to his chest and saying to it, "You and I are going to take care of each other. We'll go places to do exciting things. We're going to make beautiful music together. Nothing is every going to happen to you." I took the opportunity to inject, "Now Joe…. I know you've been sober since you got out of the hospital. But if you get drunk and goes to jail, you're not the only one that gets hurt. This guitar will get hurt. You'll probably lose it." And I reminded him, "If you get into a fight, it's not just you that pays the price when you got to the hospital. This guitar pays too, because someone else will probably take it in all the confusion. Again pointing to all the wounds on his body, "You have to make good on that promise of taking better care of yourself, Joe. I need you to love yourself as much as you love this guitar. "And one more thing… I love you no matter what. And God loves you no matter what. This guitar is a gift from God and not from me. It came from a donor, and I knew it was for you just as soon as you got out of the hospital. If something happens, it happens. I want our relationship to be based on love and sharing–it's not about this guitar. No matter what happens, you can keep talking to me and checking in with me." He began tuning the guitar. After a couple of photos, we left Joe and his friend and the guitar! I believe Joe will give the guitar great care. Music is so important to Joe that I hope and pray Joe will also start giving himself better care. Wounds, both old and new, must heal. May God bless you, Joe, on your travels. And bring you to a place a great healing, both through your music and through your relationship to others. I suspect many songs will be written along the way. May your music take you closer to God than you ever imagined possible, Joe. Amen. Each Monday morning at 11:00, SYM begins its ministry week with a prayer concert. It's a very old concept of praying together by adding your voices together on a series of ideas. A leader guides with ideas like "Go is… what?" And prayer participants answer back (for example), "God is love," "God is powerful," "God is creator," "God is patient," and "God is judge." The leader repeats each answer so that it can be thought and prayed by each participant and repeats the question to call for another answer. Street youth are not universally happy with God, so answers to the question "God is… what?" reflect that. Their answer frequently reflect things like "confusing," "elusive," "mean," "distant." I repeat them, turning them just a little… like, "God seems confusing sometimes." "God can be elusive sometimes." And so on. We progress from a question like "God is… what?" to "I'm thankful for… what?" "What's going on with me is… what?" "I admit… what?" and "I want God to act in my life to… what?" Street youth are very open in our prayer times. Their voices reflect their situation. "I'm thankful for… what?" usually elicits responses like "Waking up today," "Being alive," "Friends," and so on. However, they are honest in their answers to this question, too. More than once, someone adds, "Not me. I'm not thankful for waking up today. I feel terrible." I repeat their statement with a little twist: "Sometimes we're not thankful for waking up today. Today can seem like just too much to handle." As we move through the questions, we arrive at the petition phase, where we ask God to act in our lives, in the lives of those around us, and in the community around us. The prayers are personal, and often include prayers of recovery from addiction, for motivation, for jobs, and for healing and health. They include prayers for friends, mothers, fathers, and family. But not all the prayers are happy. Some are angry. And sometimes one of the youth will pray "I don't want to wake up tomorrow." I call this the suicide prayer. I repeat the prayer reluctantly, telling them that they are not alone; others have prayed that same prayer in this room. And I tell them that I'm not fond of the prayer, and I repeat it again with a twist, "God, we ask you to act in our life to let us wake up different tomorrow. We don't feel like we can take another day like today. Make tomorrow different. Give up hope. Send us a friend. Send us support. Change something." Often the youth will support one another, sharing how they, too, have felt this way. How things can change. As a final activity, I usually ask the street youth to "get in an imaginary time machine and go five or ten years into the future. God has acted in your life. What are you thanking God for?" It's sometimes hard for them to stretch their imaginations that far into the future when they are spending so much time and energy on their needs for the next few hours. But they always begin to engage and share wonderful answers: "That I have met someone special and we have a family," "That I have a job and a house and a car," or "That I am alive and healthy," "That I've been clean and sober for 5 years." Even a youth who earlier prays the suicide prayer often provides an answer like "If I could be happy and alive, that would truly be a miracle. I would thank God for that." Praying for tomorrow takes real courage. Whether they believe strongly in God, weakly, or not at all, street youth often find strength in praying for tomorrow and asking God to act in their life. Even those deeply depressed are lifted by such prayer. It's such a privilege to pray with them. Come to our volunteer appreciation party: May 15, 3-6pm! Park in UT Co-op parking garage 23rd/San Antonio. Admission: one pair of white socks. Yesterday was National Day of Prayer. I got a special treat. And I believe I observed an historically significant event in the street youth community of Austin. 35 Christian students from UT planned and executed a fellowship party for the street youth who live near campus. They came together for an hour of prayer and worship first and then they took over a parking lot. They set up a music system and two young men provided music for the evening, playing wonderful praise and worship songs during the entire event. The students gave me the opportunity to share my passion for the street youth at the beginning of the event as a way to send them to the streets. The students sought out the street youth throughout the neighborhood and invited them to come to the parking lot and eat with them. The street youth were skeptical at first, but one by one they came. The young people sat in small groups on the ground and ate together. They talked and engaged. I sat on the edge of the parking lot to observe and help make sure everything was safe.The UT students did a great job. Some street people came up cautiously but were very quickly welcomed and brought into a group. As I watched and prayed, I heard talk about music, movies, and sports. I heart stories about coming to Austin shared. I heard lots of much needed laughter! I heard faith stories shared. I heard stories about church exchanged. A couple of the street youth joined in with the band, sharing guitar and harmonica music with the group. The students and street youth spontaneously burst into dancing and clapping to the the music. I believe this was significant event in the west campus neighborhood. As far as I know, never before has a group of students so large taken the initiative to begin to love their neighbors in this way. No pastor led or urged this event. No particular church or ministry was in charge or sponsored it. SYM did not orchestrate this day. It came about because student leaders, who are deeply changed by their healing and saving relationship with Jesus Christ, have grown tired of how the homeless are treated and ignored near campus. They want to see their neighborhood changed. And they are doing something about it, putting their faith and love into action. What a wonderful treat for me to see! I look forward to working with many of these students as volunteers for SYM but I also look forward to seeing how their group grows and continues to find their own ways to minister. You can join their FaceBook group, http://www.facebook.com/home.php?sk=group_195049677199129, now 67 members strong.